Big Bang North West: Tom Warrender – The Human Guinea Pig! Awesome news! 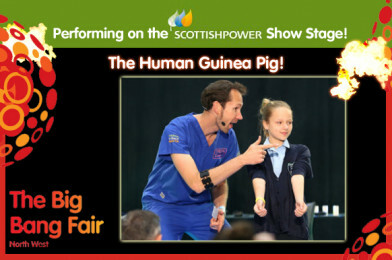 Tom Warrender, The Human Guinea Pig, will be returning to the ScottishPower Show Stage to perform at The Big Bang North West! See some of the amazing medical procedures he has been through, just for the fun of it! Tom will also be looking for volunteers to become mini guinea pigs as he runs a series of demos live on stage! 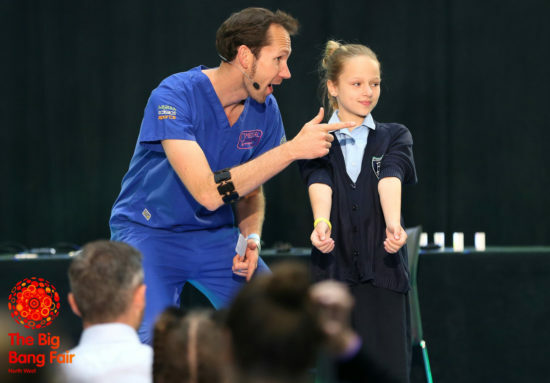 Medical Mavericks are a super-fun, interactive and educational health team. 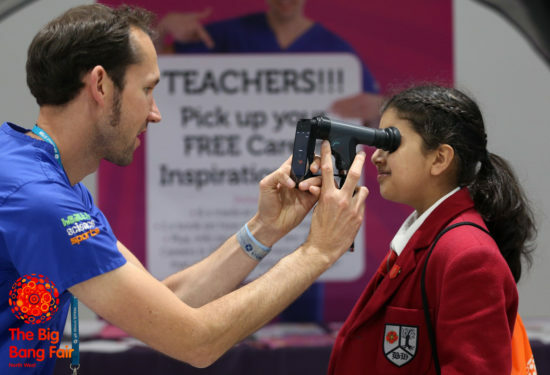 They offer experiences to help young people discover the amazing careers they can access by putting real medical kit in their hands! Medical Mavericks will also be exhibiting on the big day! Mad Science – Spin, Pop, BOOM!